Onboarding is a crucial step in the employee experience and for employee retention and development. 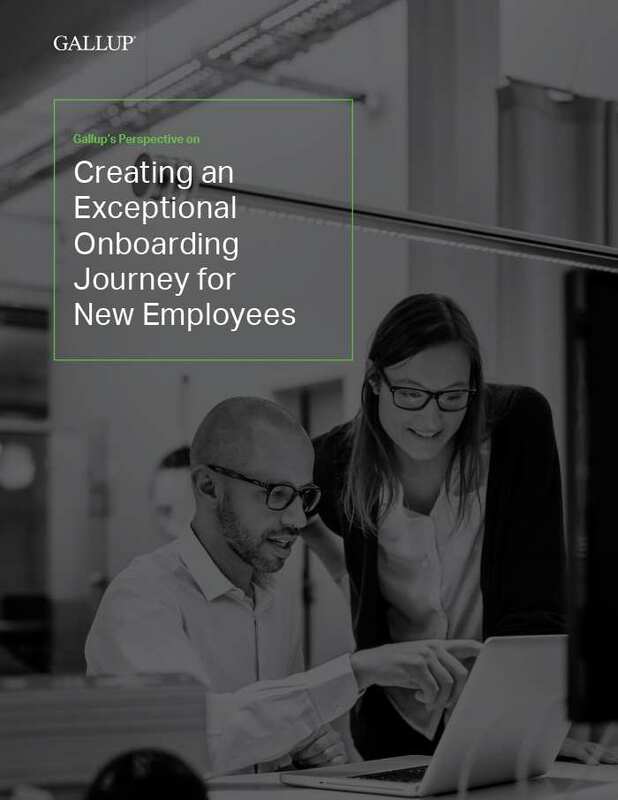 Learn to create an onboarding experience that puts new employees on the path to long-term success at your organization. Nearly every company has an onboarding program, yet few employees call the experience great. The result is that employers are losing many of their people before they barely get started. There's more to onboarding than "Where do I sit?" It's about culture. It's about social connection. It's about helping new employees become productive team members. And it's about delivering on the brand promise you made when you hired them. Start building your exceptional onboarding experience today. Fill out the form to download this perspective paper. Someone from Gallup may contact you about your interest in our onboarding experience offerings.